At this time, everybody owned at least one account of some most popular Social Networks like Google+, Facebook, Twitter, Pinterest, LinkedIn, WordPress.com, Yahoo, Live. If you use WordPress for your website or blog, there are lots of ways you can connect it to social media, and connect social media to your site via those nifty widget plugins. Today, in our post I have compiled a list of some of the useful free wordpress widgets for social connect that are mostly helpful for your wordpress websites. If you like this post, share it with your friends through email and social networks. You may be interested in the following posts: Premium WordPress eCommerce Themes, Free Photoshop Dreamy Actions and Restaurant Menu Plugins for WordPress. This plugin is assortment of custom widgets. On activating this, we can install multiple custom widgets at once. For convenience, it also provides an option to activate or deactivate the widgets. All the widgets installed by this plugin are translation ready. Super Socializer is a complete package to provide your website all the social features (Social Login, Sharing, Commenting, Feed and more) in a single plugin. 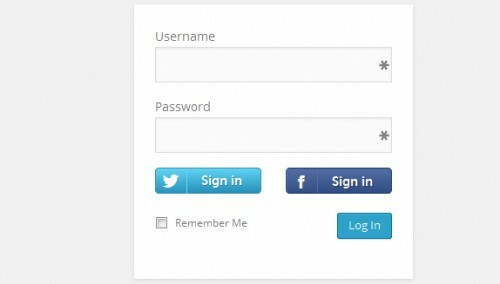 Enables users to login to your website through their existing IDs on popular social networks. Facebook and Twitter login is a professionally developed and free WordPress plugin that allows you to register users and login with Facebook and Twitter accounts. 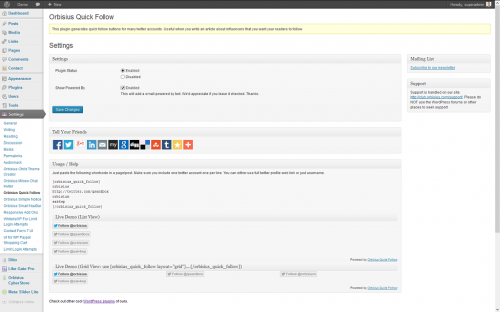 Increase your wordpress user engagement in a few simple steps with the Facebook and Twitter Login Plugin! Also we created a Social Connect button generator for this plugin. This allows you to create fancy login buttons. If your visitors have a Twitter profiles, they can register your site with a single click, and later to log in too. The previously registered users can simply attach their existing Twitter profile to their account, so in the future, they can logging in with the one social button. This plugin generates quick follow buttons for many twitter accounts. Useful when you write an article about influencers that you want your readers to follow. Make it super easy for your users to follow the influencers by just clicking a button. If your visitors have a Google profile, they can register your site with a single click, and later to log in too. The previously registered users can simply attach their existing Google profile to their account, so in the future, they can logging in with the one social button. The plugin has multiple desings, so it fits all kind of websites smoothly and elegantly. The plugin supports Facebook profile picture as avatar. The previously registered users can simply attach their existing Facebook profile to their account, so in the future, they can logging in with the one social button.